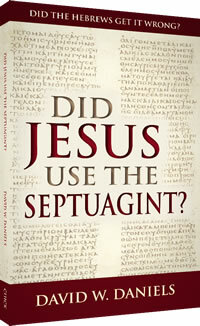 ■ "The Septuagint: A Critical Analysis"
■ Did Jesus Use the Septuagint? ■"Aren't newer translations based on a better Greek text?" ■Undeniable Proof the ESV, NIV, NASB, Holman Standard, NET etc. are the new "Vatican Versions"
→David W.Daniels,Does the New King James use the same texts as the old King James?